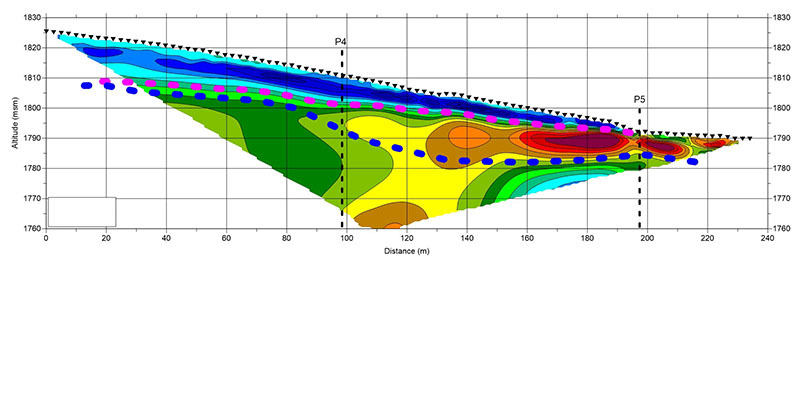 The interface between morainic sediment and limestone units is expected to show strong contrasts in seismic velocities and electric resistivities. 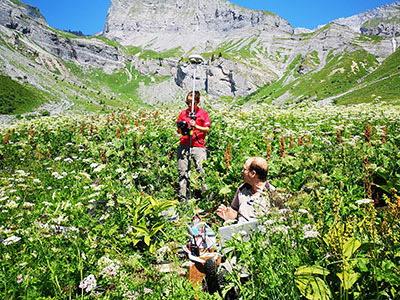 4 crossing profiles have been investigated with these 2 methods in order to characterize the bedrock geometry and potential water ressources in the Swiss Alps. The joint interpretation of ERT and seismic refraction has allowed us to accurately define the sediment-bedrock interface in this complex topography. Resistivity section highlighting a shallow layer of glacial sediments above weathered and intact limestones.